Last 25th, 26th and 27th of September we were present at FachPack 2018 organized in Nuremberg, Germany, to present our latest innovations in blister packaging machines and thermoforming machines. Fachpack is the reference fair for the packaging solutions available in the current market , it is one of the most important European events of the packaging industry. The Nuremberg Exhibition Centre became the confluence point of solutions for the European packaging industry. After a break of one year, FachPack 2018 had the presence of the main international exhibitors who, like Hamer, brought all their experience in the sector to respond to the future challenges of the packaging process chain. Hamer was present at the event exhibiting its wide range of machinery specialized in the manufacture of packaging, both blister packaging machines and automatic thermoforming machines. At the trade fair we exhibited the blister sealing machine HMS50, which is specially designed for medical device packaging which work in ISO Class 7 clean rooms. The main fields of application of this blister packaging machine are medical devices, cosmetics and beauty market and the veterinary sector. 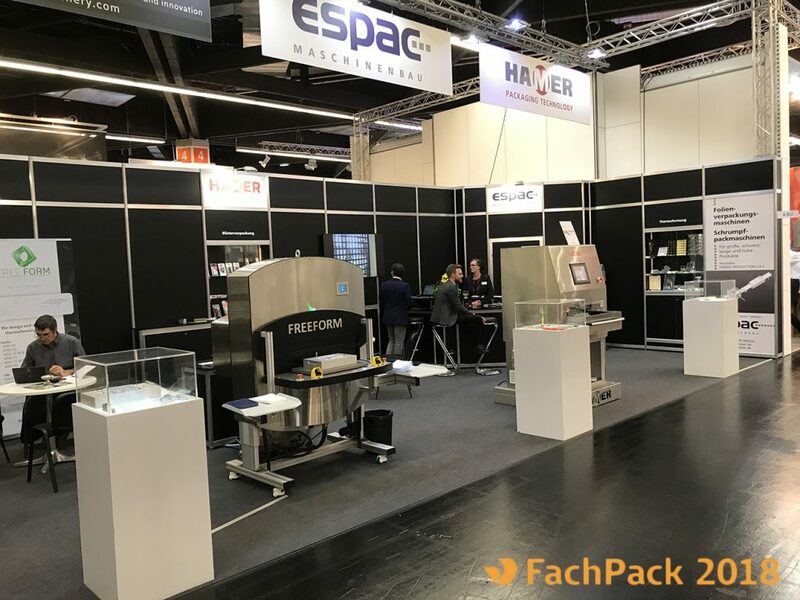 The 2018 edition of FachPack had 1,644 exhibitors spread over 12 exhibition halls and more than 45,000 professional visitors were registered in order to learn about innovations and trends in the packaging industry. From Hamer we were able to know the latest needs of the sector to offer future solutions in blister packaging machines and thermoforming machines . Our blister packaging machines are tailor-made, so our packaging solutions are tailored to each customer’s requirements. We look forward to being present at FachPack 2019 with the latest innovations and innovative products in the blister packaging machinery and thermoforming machines market.